with Youssou N”Dour et le Super Etoile de Dakar. those high notes, what a great voice. This entry was posted in Mbalax, Senegal by Moos. Bookmark the permalink. Thanks a lot for all the vinyl you’ve posted and see you’re going into African K7’s. 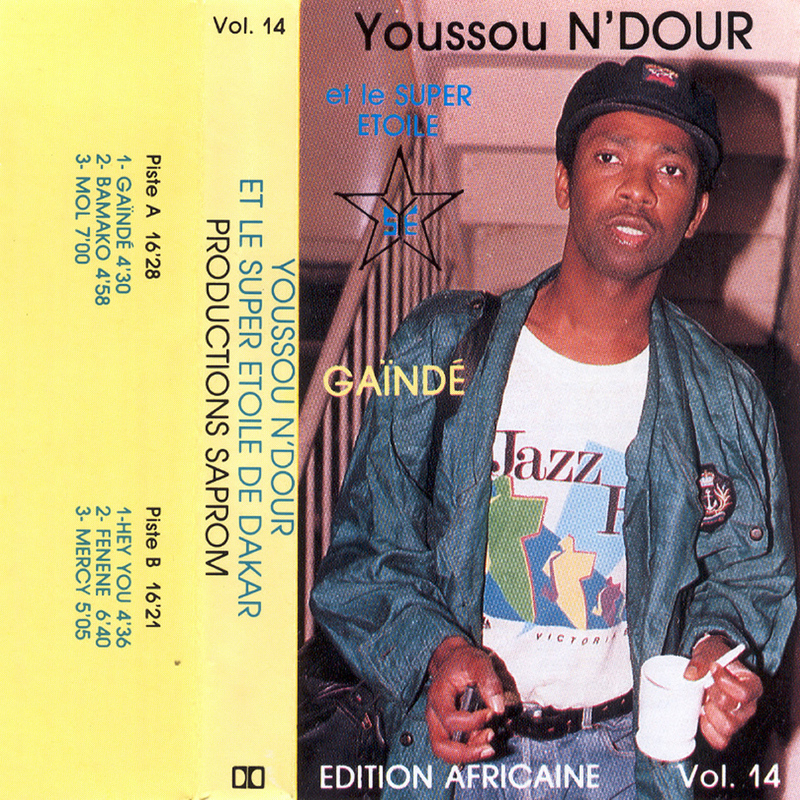 If you’re interested I have some Youssou myself (Xippi vol.1+2, which became after some remixing(?) the Eyes Open album). Haven’t got a clue (yet) how to digitize those, but can ask a friend here in Budapest. Anyway, thanks an incredible lot for all the great music you’ve posted. In the album Lion, Y Ndour songs were fantastic, but it is quite sticky so overproduction. 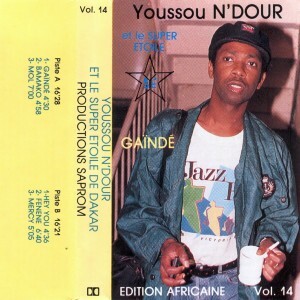 In this tape instead is a pleasure to hear the sound of a serene African production of 1989,this is the same that we can enjoy a little more rolled, in the DVD of the Etoile Live at Montreux 1989.